Travel in Eiffel Tower, in Paris, France, surely you won’t regret it. Every evening, the Eiffel Tower is make more attractive with its golden covering and sparkles for 5-minute sparking every hour while the icon of Paris is illuminated. The form of Illumination show the great success not for only for Parisians but also for visitors. It shows the great and adorned lightning of Eiffel Tower. 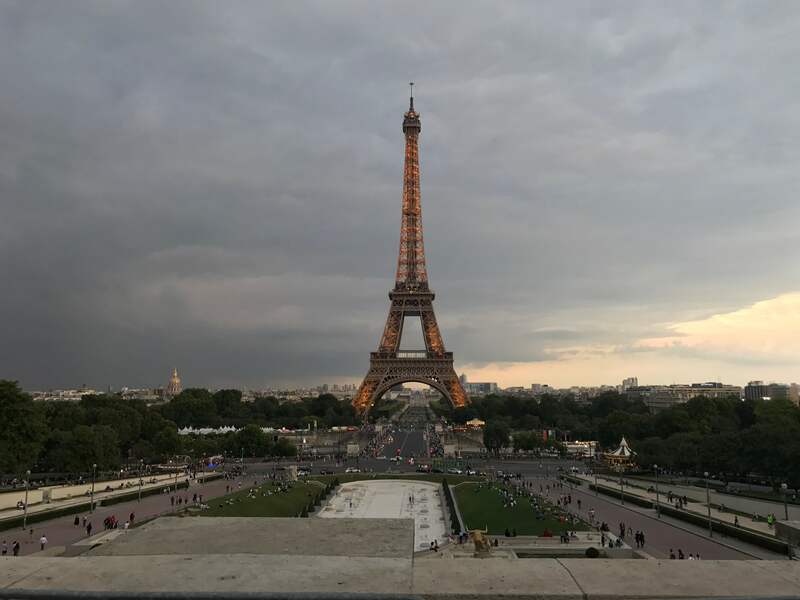 One of the best view to see this spectacle lighting is head to “Place du Trocadéro” and get the perfect timing, usually around 9:00pm is the start of the spectacular lightning show of Eiffel Tower. Visit in Paris, France is one of the best experience. Make sure you don’t miss the opportunity to see the spectacular view of Illumination and Sparkling Lights in Eiffel Tower during evening. To visit Eiffel Tower plan accordingly using Google Maps, trust me, it saved a lot of time and money. Subway is one of the easiest way to travel Trocadéro, get Metro-9 Line and stop in Trocadéro Metro Line, Check the brown billboard and exit in “Tour Eiffel”, once you exit in Metro Subway, you will pass by the large platform and view of Eiffel Tower.